Ecuador is an upper middle-income country with a population of around 14.5 million people; 63 percent of the Ecuadorean population live in urban areas. In 2015, income inequality remained high, and gender-based violence affected six out of 10 women. The influx of refugees from Colombia is straining the country’s social services and cohesion. The northern border area is designated as Security Level 3 while the rest of the country is designated as Level 2. The divisions among different ethnic groups are often intensified by the influx of refugees. The country experiences recurrent natural disasters, including droughts, floods, volcanic eruptions and earthquakes. Average temperatures increased by 1°C over the last 30 years. In 2015, 73,200 people were affected by geohazards. WFP has been present in Ecuador since 1964. The UN agency works alongside the Ecuadorean government in four main ways to strengthen local and national capacities. Help Columbia’s refugees and vulnerable Ecuadorean host communities: WFP complements the Ecuadorean Government’s social policy by providing food assistance to Colombian refugees and asylum seekers, as well as to vulnerable Ecuadorean families, through an e-card scheme. Participants use their e-card to buy fresh, nutritious foods at local stores and attend monthly training sessions, where they learn about healthy eating habits, gender equity and good hygiene and sanitation practices. WFP also works with small farmer associations, linking them to WFP food assistance activities and to social protection programs run by the Ecuadorean Government. Building resilience against climate change: WFP works with the Ecuadorean Government and with 50 communities in the most vulnerable areas of the province of Pichincha and the Jubones river basin, raising awareness of the effects of climate change on food and nutrition security and strengthening the ability of local communities to respond to these changes. The project supports community members, encouraging participation in educational workshops and helping them decide on specific measures they can take to cope with their changing environment. Preparing for and responding to emergencies: Together with Ecuador’s Secretariat of Risk Management (SGR) and the National Decentralised Risk Management System, WFP has developed tools to measure the impact of disasters on the food and nutrition security of affected communities. SGR and WFP also conduct joint training and workshops to prepare the country’s local and national institutions to respond to natural and man-made disasters. On April 16, 2016, a magnitude 7.8 earthquake struck the northern coast of Ecuador. 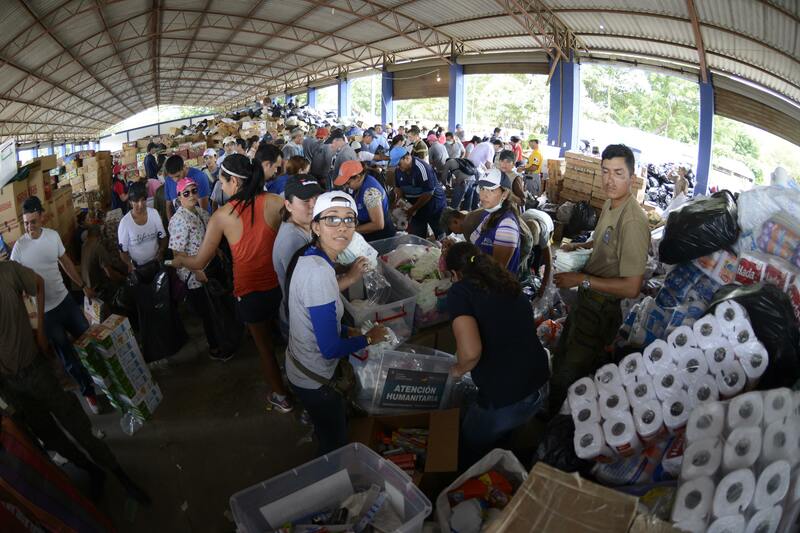 The Government of Ecuador requested WFP to provide food assistance to 520,000 people in the most affected areas. People in need were assisted with commodity food vouchers and e-cards, where markets were functioning.